* This virtual workshop is currently only available through our subscription box, THE SOLAR BOX. Upon registration of THE SOLAR BOX, you’ll be provided with log-in access to our Solar Sisters Sun Meeting Member’s Area. If you have any questions, please contact support@holisticfashionista.com. In Module 1, we’ll discuss The Major Arcana cards 0-10 and use their imagery to attach keywords to each card. You’ll also learn some tricks on how to intuitively read for yourself to help you answer some of life’s greatest questions and challenges. *This class is now available in the Member’s Area. In Module 2, we’ll discuss The Major Arcana cards 11-21 and use their imagery to attach keywords to each card. You’ll also learn some tricks on how to intuitively read for yourself to help you answer some of life’s greatest questions and challenges. *This class is happening on Saturday, November 17th at 930amPST :: 12:30pmEST. 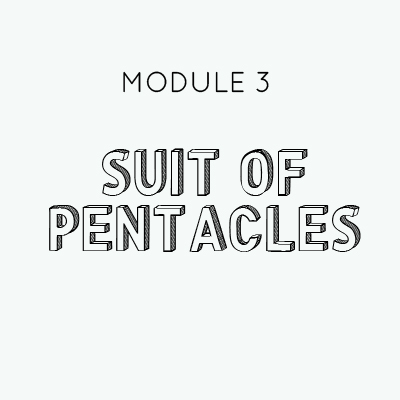 In Module 3, we’ll discuss The Suit of Pentacles. You’ll also learn some tricks on how to intuitively read for yourself to help you ground yourself, while finding a pathway to success in all areas of your life with a plan. *This class is happening on Saturday, December 15th at 930amPST :: 12:30pmEST. In Module 4, we’ll discuss The Suit of Wands. You’ll also learn some tricks on how to intuitively read for yourself to help you discover what you’re truly passionate about and how to leverage the fire inside. *This class is happening on Saturday, January 19th at 930amPST :: 12:30pmEST. In Module 5, we’ll discuss The Suit of Swords. You’ll also learn some tricks on how to intuitively read for yourself to help you answer some of your greatest struggles and discover the hidden meanings behind your painful life lessons. *This class is happening on Saturday, February 16th at 930amPST :: 12:30pmEST. In Module 6, we’ll discuss The Suit of Cups. You’ll also learn some tricks on how to intuitively read for yourself to help you answer some of unresolved feelings and emotions. *This class is happening on Saturday, March 16th at 930amPST :: 12:30pmEST. READY TO TAP INTO YOUR INTUITION AND LEARN THE SUBCONSCIOUS SECRETS OF TAROT? *This course is currently only available to member’s of THE SOLAR BOX. Any classes in this course you’ve missed will be accessible inside the Member’s Area. click here to learn more about THE SOLAR BOX.